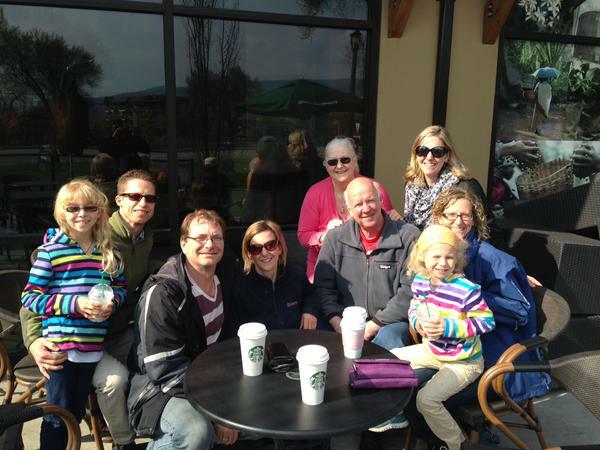 This weekend I have the pleasure of spending Easter with my extended family. An unusual occasion, my parents and two sisters with our families have come together in my parents BC home to celebrate my father’s 65th birthday. As an added bonus we get to throw Easter into the mix as it falls on the same weekend. Growing up my sisters and I loved Easter morning. The Easter Bunny would often leave tracks and paw prints, as a a little dirt in the house, as well as fill and hide our baskets and Easter Eggs. We love hunting for everything, in fact this was as much fun as what was in the basket and eggs when we found them. The eggs were the best part. I think because there were so many of them. You’d find one and then there’d be more and more. And sometimes we’d even miss one or two, finding them later in the year because the Easter Bunny had hidden them so well. 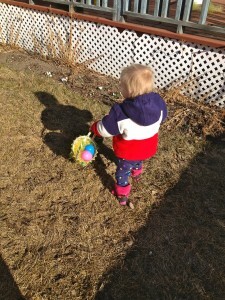 Now with my own children, I continue the tradition of hiding eggs. My children love it just as much as I did. Peeking out of their room Easter morning, discovering a trail of eggs from their bedroom and down the stairs. Sometimes they discover the Easter Bunny has even left one or two in their room! And they get so excited to learn that he was so close. Of course over the years I have gotten creative with the hunt. 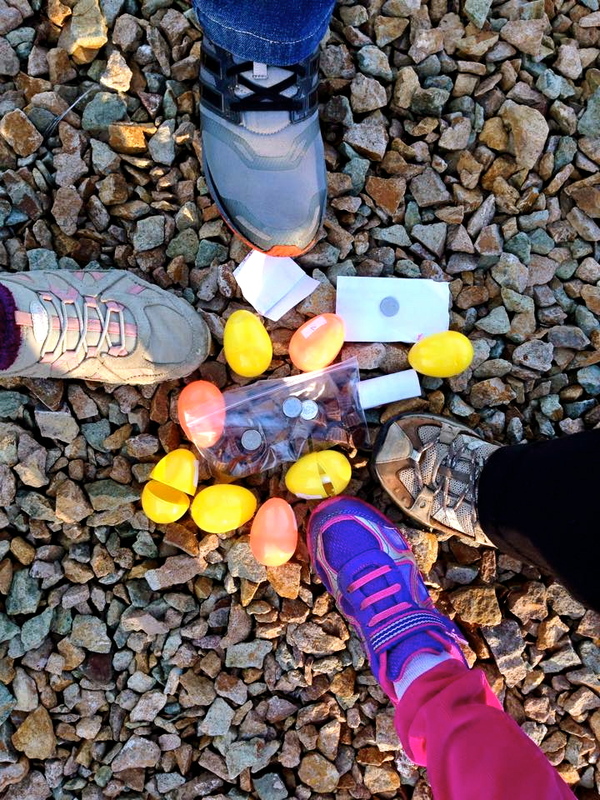 Sometimes hiding eggs outside or making a scavenger hunt out of it with clues inside and a larger prize at the end. In my creativity I got curious, as I do, about the hunt for eggs even began, and what other people were doing with this fun fabulous event. I discovered this traditional Easter activity has been done for many centuries. Part of a salute to spring it is done in a variety of ways. The Easter Egg Hunt is a tradition that many children participate in all over the world every Easter. It is a simple activity of finding colored eggs and putting them in an Easter basket. No matter how the hunt is conducted children get excited about this yearly activity. Easter originated as part of the pagan spring celebrations with both the egg and the rabbit as symbols of rebirth and fertility. The egg specifically was a symbol of the rebirth of the earth in the spring. These celebrations of spring and rebirth were adopted by early Christians as a symbol of the resurrection of Jesus Christ. In my search I learned that there is no known date as to when the Easter Egg Hunt originated, but that the Easter Egg itself has been around for many centuries. In Medieval Europe eggs were forbidden during the Lenten season and therefore were a prized gift when received on Easter Sunday. Eggs were often given wrapped in gold leaves or boiled with leaves or petals of certain flowers to create brightly colored eggs. This tradition eventually evolved into what is known as Egg Rolls and the Easter Egg Hunt. 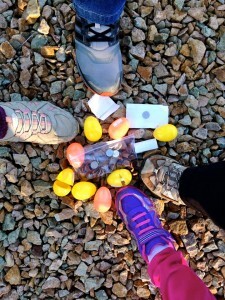 There are many different ways to set up an Easter Egg Hunt. Depending on the ages of the participants and what is used in the hunt. All variations may be set up inside or outside. 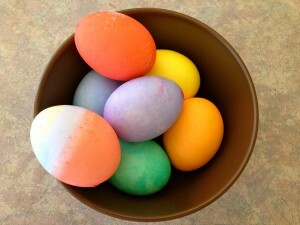 For each child that is hunting have them choose one color of egg (green, yellow, pink, etc.) Whatever color they choose is the only color egg that they are to retrieve. Hide the eggs inside or out, clearly outline the boundaries and let them hunt! This is great when kids of a variety of ages are hunting because it makes it fair. Older children will not take all the eggs because they are hunting only for their color and it gives the younger children an opportunity to hunt and enjoy themselves. Set up like a treasure hunt; hide paper eggs with clues on them. For young children, one can simply write the name of the place they need to go to next, like “living room” or “kitchen”. For older children one can develop clues or riddles that they have to solve in order to figure out where to go next. Make as many clues as desired. The last clue will lead the child to his Easter treat. When doing a hunt for a large group, hide only the colored plastic eggs. Children may use an Easter basket to collect their eggs and may collect as many as they can find. When they are done hunting children then return to the start and trade in all their colored eggs for an Easter treat. I’m also a firm believer that adults can participate too! All adults need to play and I have watched countless adults enjoy games and treasure hunts. In fact last year I set up a hunt for my friend and he loved it. His eyes lit up and he was so excited as I watched him zoom around finding clues. 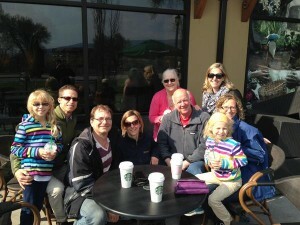 And of course that is one of the reasons I love that I get to share Easter with my family this weekend. Both my parents and sisters love to play and love to celebrate the holidays, so tomorrow morning there will be a hunt for all of us. And I am sooo excited!!! 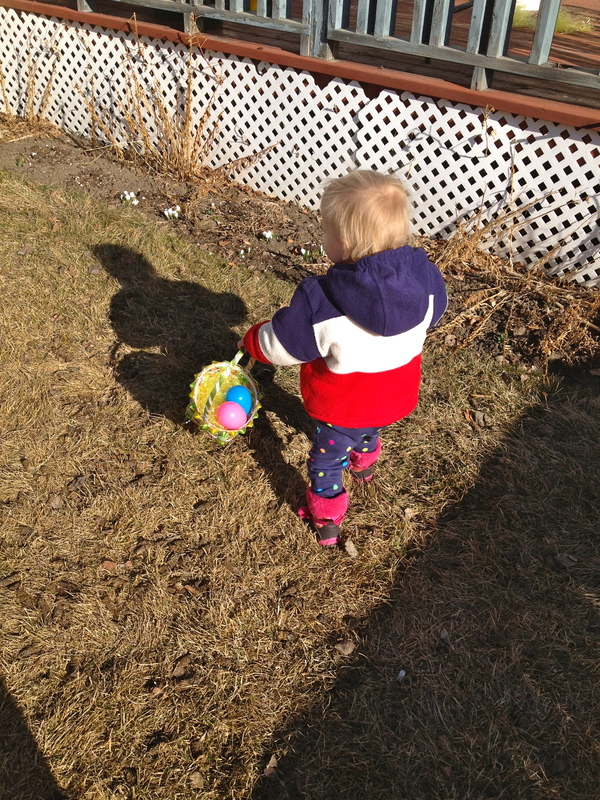 This entry was posted in Activities for Kids, Holidays and tagged activities for kids, celebrations, chocolate eggs, coloring easter eggs, Easter Bunny, Easter Egg Hunt, family, holidays, scavenger hunt, Spring, symbols of Easter, traditions, treasure hunt by Carmen. Bookmark the permalink.